Hi Everyone! I have a bit of a different post today in that I want to talk about skincare! At present, many of the existing skin care ranges contain so many ingredients, most of which you have probably never even heard of! These harsh chemicals, when used daily, can be skin irritants, cause oxygen depletion, premature ageing and can even be carcinogenic. When it comes to skin care, the fewer ingredients the better. 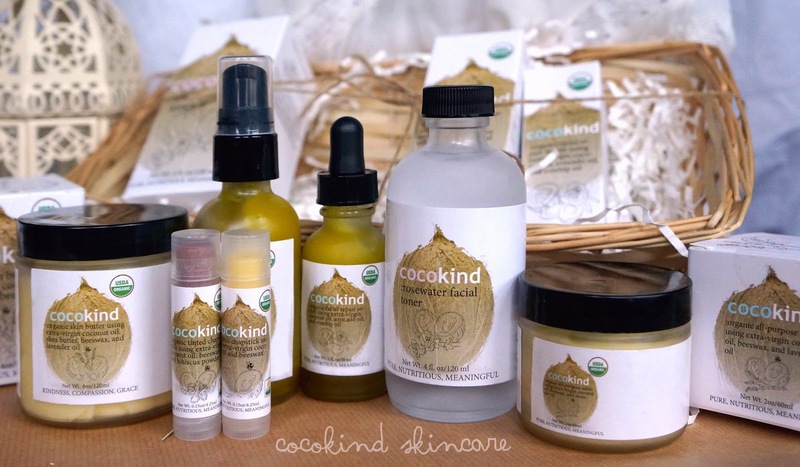 CocoKind is a natural organic skin care range; all products are cruelty free and locally made, each only containing a few, 100% natural ingredients. I was sent the CocoKind skincare range to try out by the lovely Priscilla, the founder of the company! This includes the facial cleansing oil, rosewater toner, facial repair serum, lip balms, multi-purpose salve and organic skin butter. Before I delve into more information on the products and my main review, I think it is important to discuss a bit about my skin type. I have dry/oily combination skin which can get really dry through winter (especially these bitter Scottish winters)! I also had problem-skin (mild acne) around my chin/ jawline area. Using these products everyday for the last month and sticking to a proper skin routine has cleared my face up drastically and even now through the middle of winter it is staying well-hydrated! If you have problem skin, I would highly recommend trying these products; with skin care, the fewer ingredients the better! Along with my review of each product, I have included the step-by-step method of how to effectively use it - taken from the cocokind blog. 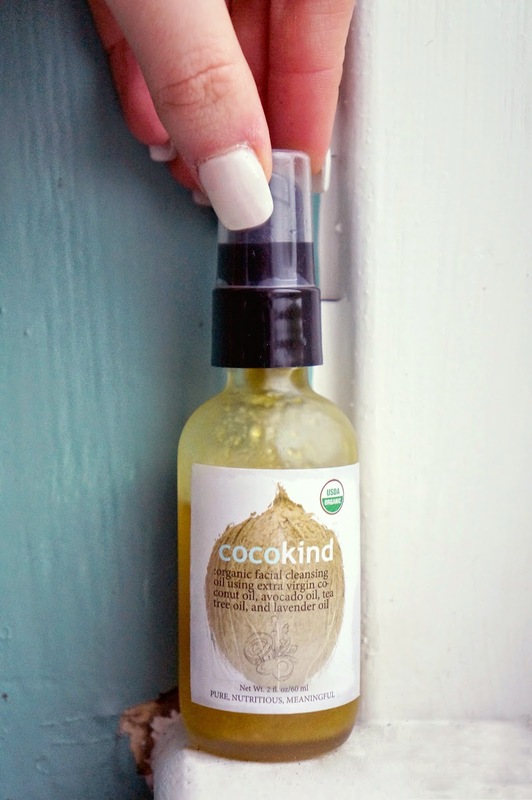 The CocoKind Organic Cleansing oil is the perfect product for daily cleansing of the face and cleaning away makeup without all of the harsh chemicals! The simple four ingredients work together to clean the face whilst keeping it hydrated. I absolutely loved this product and it is one of, if not the, best eye-makeup removers I have used! I use the benefits 'They're Real' gel liner which is practically impossible to remove without severely rubbing your eyes (and still having panda eyes the next morning), but with this product it comes off so easily. Also to point out, although this is an oil, it doesn't necessarily make your skin oilier! In contrast to the many other facial cleansers on the market, this product hydrates the skin naturally rather than drying it out, giving you a healthy glow! • Method: Place 1-2 pumps of cleansing oil into the palms of your hand. Rub your hands together to warm up the oil and apply to your face. Massage the oil onto your skin for a few minutes, this will allow the oils to penetrate into the skin and remove any makeup or impurities. Use a damp, warm wash cloth to remove the oil or simply wash away. Use this cleanser once or twice a day. 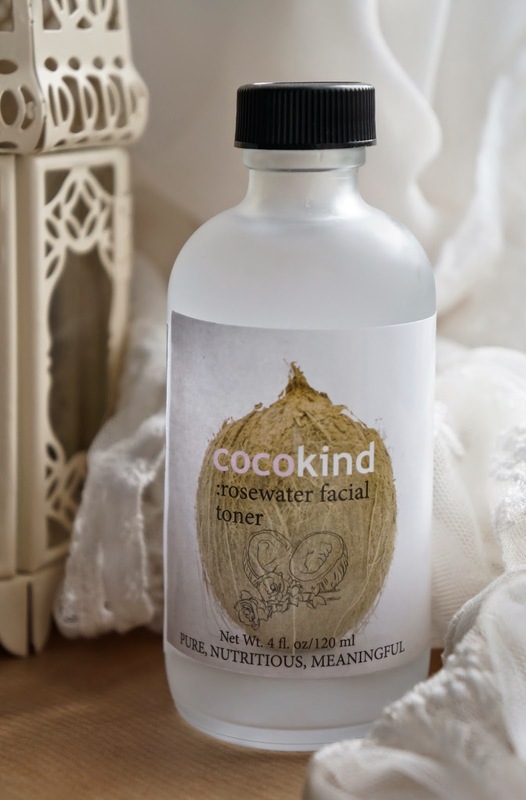 The CocoKind Rosewater Facial Toner helps to cleanse and close the pores in your skin. It softens and soothes the skin to leave it feeling clean and refreshed! The first thing I have to say about this product is the fact that it smells AMAZING, so sweet and fresh and floral - it makes me crave springtime again! I love this product as a toner because, in contrast to all of the other alcohol toners I have tried, it doesn't irritate and dry out my skin! • Method: Pour a small amount of toner onto a cotton ball or pad. Sweep gently across the face and neck, avoiding the eyes. After applying toner, give your face time to dry before applying moisturisers or serums. Use this toner in the morning after cleansing, and at night to remove excess dirt, residue and makeup. 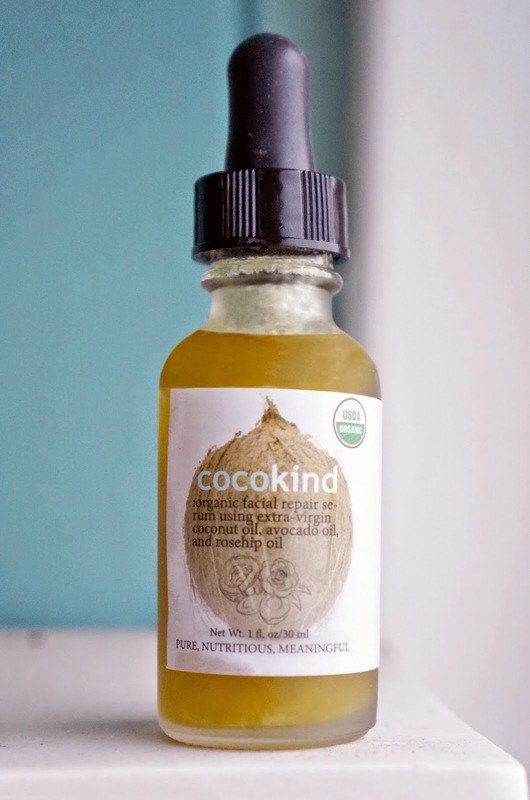 The CocoKind Facial Repair Serum is rich in essential fatty acids and antioxidants that help to repair the skin's surface as well as providing deep moisture. I used this everyday on the problem, mild acne areas of my face and it really helped, practically clearing it all up within a few weeks! I also used this as an eye make-up remover over one weekend when I forgot the cleansing oil and it worked just as well! • Method: Use 1-3 drops of the product and apply to freshly cleaned skin. Wait a few minutes for the serum to fully penetrate before applying other face products. Use this serum as a day time moisturiser and/or at night – when it goes to work while you rest-away! 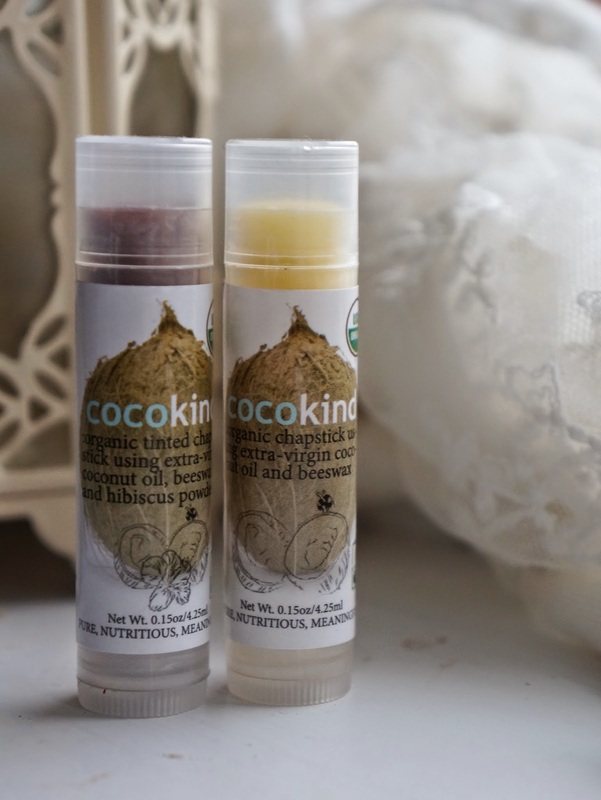 The CocoKind Organic Lip Balm/ Tinted Lip Balm is 100% chemical and preservative free, providing deep moisture to your lips! Usually lip balms, which are supposed to moisturise your lips, have the opposite effect on me and seem to dry out my lips but these are keeping them perfectly hydrated through this freezing cold winter. Also, I usually apply a thin coat of this before my lipstick; it stops it from cracking and makes it stay on longer! • Method: Just sweep it over your lips in the morning, night or whenever your lips need TLC. For extra oomph, use the tinted lip balm to add a little colour to your complexion. The CocoKind Organic All-Purpose Salve is a multi-purpose product which helps to repair, and provide moisture and protection to, dry skin, nails, hair and lips. The oil contains anti-bacterial and anti-fungal properties which also help to prevent and heal skin irritations without clogging pores or leaving your skin feeling oily. I have been using this mainly as a hand and face moisturiser and it has really helped to clear up and prevent areas of dry skin! • Method: This product can be applied anywhere on your body. Apply to your lips, under the eyes, cuticles, and anywhere on your body for extra moisture throughout the day. 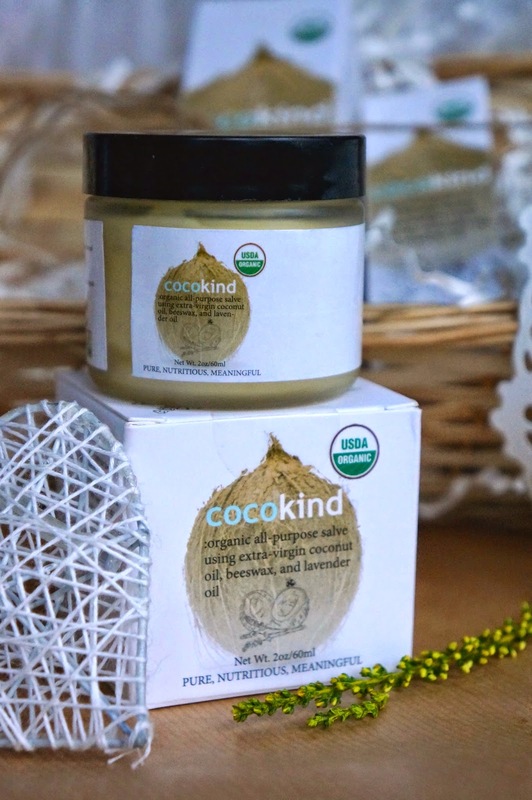 The CocoKind Organic Skin Butter strengthens the skin tissue, eliminates dead skin cells, softens the skin and improves elasticity! I have been using this product on my hands, feet, legs and arms every second day, making them silky smooth! • Method: After showering, start with a small amount of product and rub it in gently with your hands until the body butter is fully absorbed. Apply more if needed. Tip: Try using it on your hands and feet right before bed and covering it up with socks and gloves. In the morning, your hands and feet will feel incredibly soft as they are extra-hydrated. If you want to find out more about CocoKind, visit their website, facebook, twitter or instagram! You can buy all of the products on the website shop; they are all very reasonably priced and there are even bundle gift baskets which contain one of every product (these are currently $69.99 - around £45)! One final thing to mention is that CocoKind are a very socially conscious company. For every product sold, donations are made to to children around the world in need of clean water and meals. The $10 donation from the products I received went to a charity that provides children in need with meals! Every employee of the company also gives time volunteering with these children too; kindness can change the world one small effort at a time. It is overwhelming to contemplate the amount of merchandise obtainable including what the distinction is between a deep cleansing treatment and hydrating masks, for more information click here men face care. Read on to find out how Essence Of Argan can help you get back your once youthful appearance and restore your confidence. Making ourself beauty is normal. If that is organic then it will be too effective. Organic Skin Care Products have no side effects. Natural skincare products are the best products for your skin so better choose Organic Beauty Products. This is also a very good post which I really enjoyed reading. buy instagram followers uk It is not everyday that I have the possibility to see something like this..